I get down at Singapore Airport at around 6 am. I took a flight by Singapore airlines from Hyderabad. 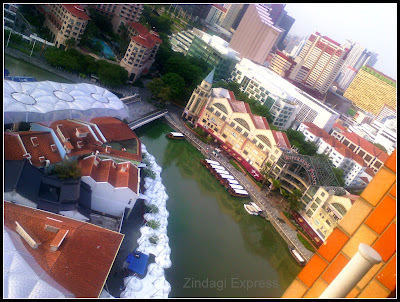 My Hotel was located at Clarke quay. That was a beautiful place looks very glamorous. 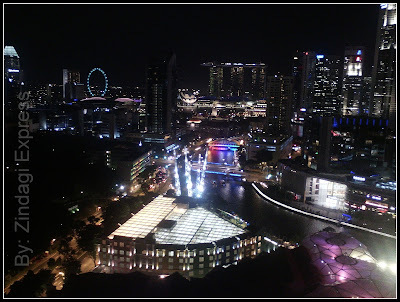 My suite was at 22nd floor in Novotel having superb view covering the Singapore skyline including Singapore Flyer, Marina Bay sands , Boat quay. Sharing some of the pictures from my window, infact a whole glass wall opening to the beautiful view. After I went to the office on the very 1st day and told everyone that I am staying at clarke, Everyone was excited saying that's the ultimate place to stay. I started waiting for the weekend to explore more. 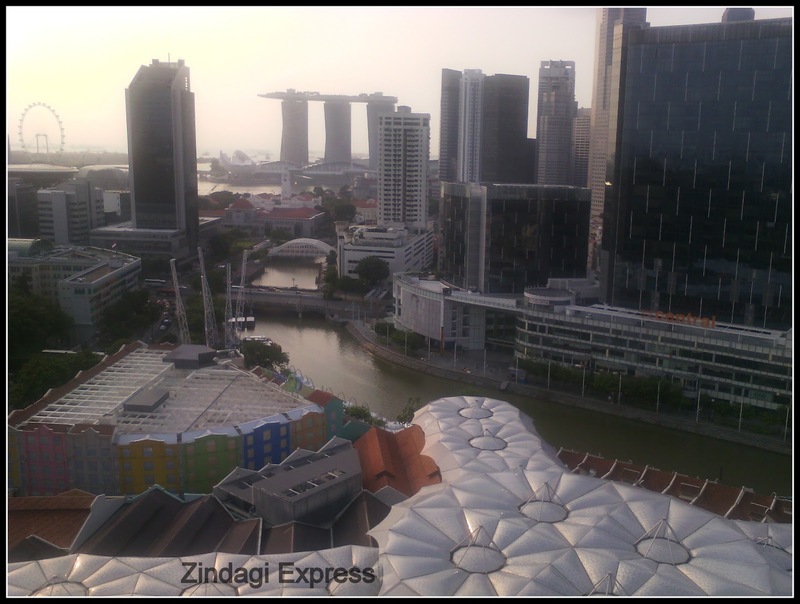 One thing was very evident that this place boasts of vibrant leisure, lifestyle destination consisting of pubs, clubs and high end restaurants.